Along with spring cleaning my house this year, I’m also doing a bit of spring cleaning with my business too. I’ve been ruthlessly clearing out, refining and revamping posts and products that just aren’t fitting well with my goals. While I was sorting through old posts, I realized I used to do a lot more personal updates, sharing life and goals and what I was into. For one thing, I forgot how much fun that was! For another, I loved how much feedback I used to get from you and hearing YOUR goals and favorites. 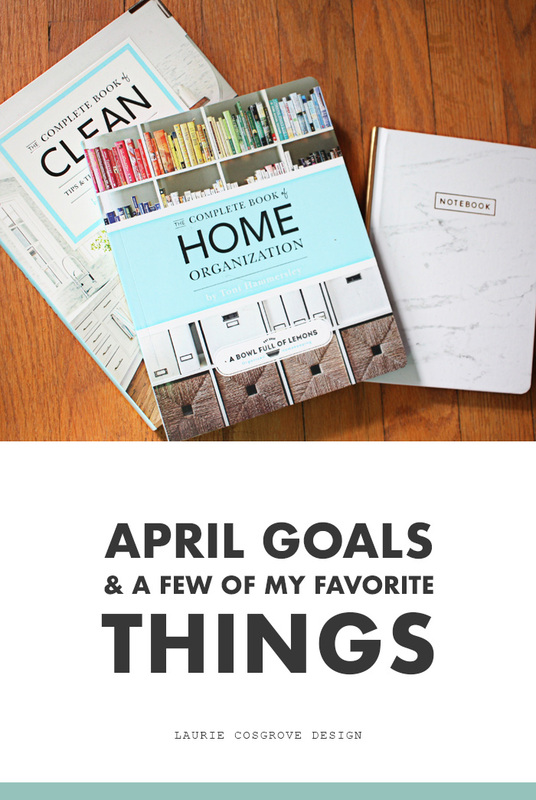 So all that to say, I want to start up listing monthly goals again as well as sharing a few of my favorite things. Hopefully it can motivate us both to keep moving forward and sharing fun finds. 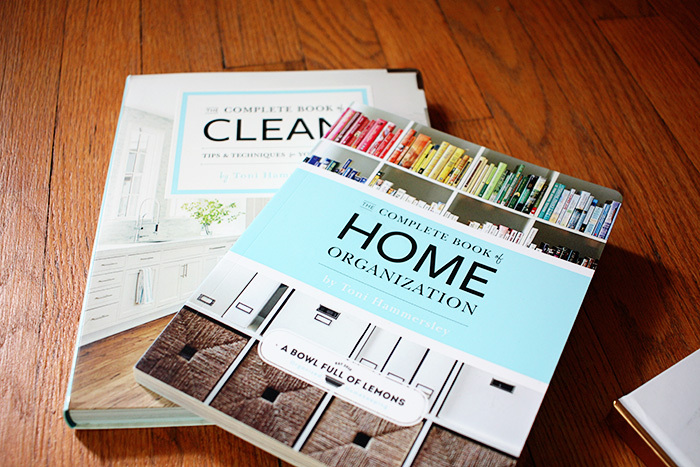 Bowl Full of Lemons Cleaning + Organization books - These two books are awesome! I love the gorgeous photos in the organization book. The cleaning book is my favorite though and so in depth that I feel like I’ll never have to browse Pinterest for hacks again. Sony wireless headphones - I picked these up so I don’t have to carry around my phone while I listen to music, podcasts or voxer and they’ve been the BEST! They’re super comfortable so I wear them while I design, for workouts, cleaning my house, and or just blocking out the noise while I cook dinner. So worth the investment! Brandless mug - A simple and clean design is so appealing in my house so I tried this out. 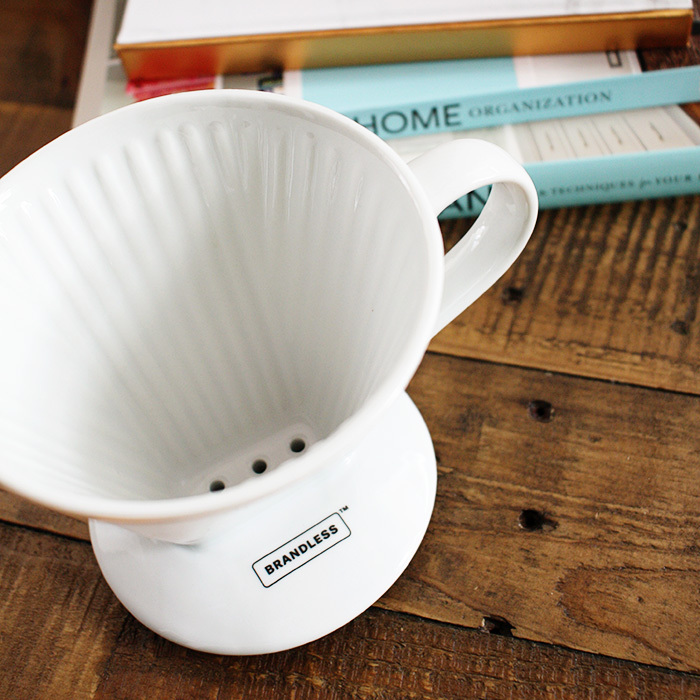 I have to say this I’m really loving this little pour over coffee mug! Also the Brandless hand soap smells amazing. We’ll both get a discount if you use this link. PRODUCTIVITY | Write 10 blog posts! - One thing I’m determined to stop is being inconsistent. So I’m shooting for publishing a post week for April. No excuses! DESIGN | Create templates and tools for solopreneurs - Up until now most of my resources have been specifically for photographers. There’s a whole host of things I want to create that could be useful for bloggers, designers, coaches, etc. though so I want to create at least 3 of those product ideas. LIFE | Workout every other day - I’ve been using the Nike Training app weekly, but I want to get more consistent here too. WORK | Stop worrying about numbers - I’ve gotten into a bad habit of stressing too much about sales, subscribers, etc. It’s not about me and in order to bring life and joy into what I’m creating, I have to let that go. HOME | Deep clean the main rooms in my house - I hopped on the Marie Kondo bandwagon in January and decluttered my entire house. So it’s all minimized and mostly organized, but it could use a deep clean. Your turn! What are your goals and favorite finds this month?